I think I am not alone in the fact that I sometimes do not feel like cooking. I really do enjoy dinking around in my kitchen but I get burnt out sometimes and I just want a quick and easy meal. 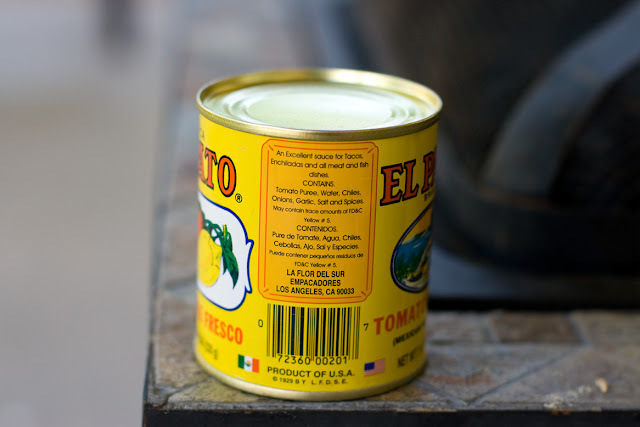 The other side of the can says "Salsa de Chile Fresco." Just so you know. This sauce plus chicken or beef in the crockpot (or, if you're short on time, in a covered saucepan on the stove) equals super easy taco meat. Throw in some guacamole, cheese, tortillas (homemade. Or not. Your call), and lots of leafy greens and dinner is served. Contains: tomato puree, water, chiles, onions, garlic, salt and spices. May contain trace amounts of FD&C Yellow #5. Yes, that last ingredient is kind of scary BUT the rest of the list? I know what those things are. This is my idea of a good compromise. It makes dinner prep a little faster and easier and is mostly whole foods friendly. Plus, it's DELICIOUS. That was so me last night. Actually all day yesterday. I'm glad I'm not the only one, and I'll have to look up this secret weapon of yours! 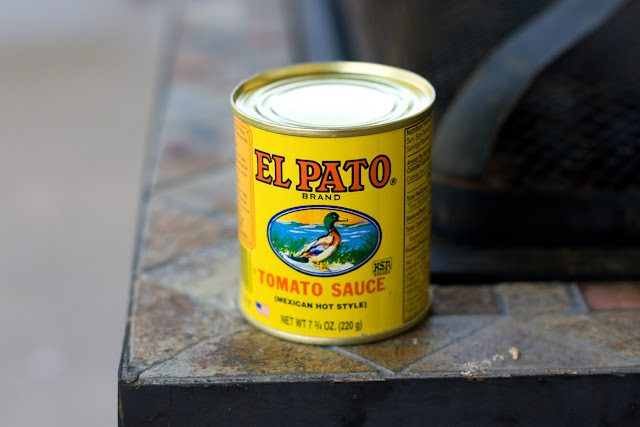 I have to pick up a few cans of El Pato every week. I love that stuff. Ever try it in your spaghetti sauce? Gives it a little kick.